The International Union against Tuberculosis and Lung Disease (The Union) and Vital Strategies are leading the STREAM clinical trial, which aims to evaluate the effectiveness of shorter treatment regimens for multi-drug resistant tuberculosis (MDR-TB). MDR-TB remains one of today’s most important public health challenges. STREAM, like any other clinical trial, can only achieve its desired impact if the communities where the trial takes place understand and support the design, implementation and results of the trial. STREAM Trial Sub-Investigator Dr. Nino Lomtadze introduces the trial to Community Engagement Seminar participants on 2 December 2016. 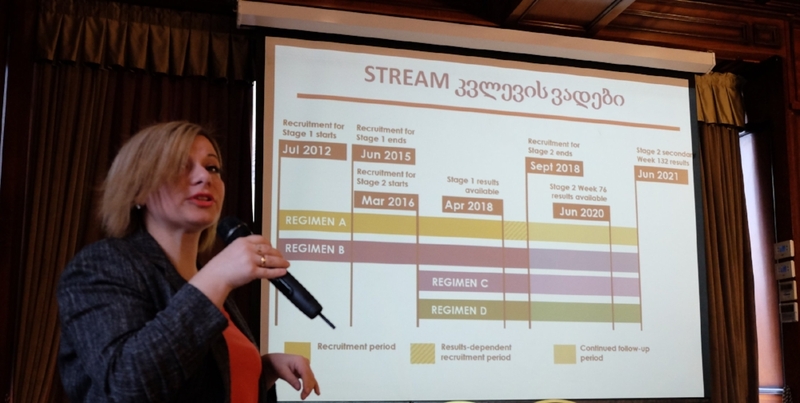 The STREAM trial recently held a community engagement workshop in Tblisi, Georgia to introduce the STREAM trial to community stakeholders. During the meeting, one community participant asked “Why are Americans doing experiments on people in poor countries?” That question illustrates the critical importance of involving communities at all stages of clinical research and helps to explain the STREAM trial’s commitment to community engagement. The STREAM Community Engagement Coordinator, Dr. Ezio Tavora Dos Santos Filho of REDE-TB (Brazilian Network of Tuberculosis Research), traveled to Tbilisi, Georgia in late 2016 to initiate STREAM community engagement activities in the country. Local community members were invited to participate in a series of workshops held to educate participants about MDR-TB and clinical trials, and engage them in discussions about STREAM. The workshops provided participants with an important opportunity to raise concerns about the trial and to ask questions about TB in general. When she heard that the cure rate is approximately 80% for the shorter treatment regimen, one participant asked, “What will happen to the other 20%?” Another wanted to know whether the trial’s results will be generalizable to populations excluded from the trial. Dr. Ezio Tavora and Dr. Elena Tudor (the STREAM PI for Georgia) took the opportunity to answer participants’ questions and later worked together with them to develop a list of community-led activities that participants would like to undertake in connection with the trial. A key output from the workshops was the formation of a community advisory board or CAB to act as a link between the community and the trial staff. Participating community members elected four CAB coordinators and agreed that the CAB will meet every two to three months in order to increase research literacy, TB/MDR knowledge and STREAM trial knowledge among its members. The STREAM trial team committed to regularly update the CAB regarding trial progress and to engage the CAB to help trouble shoot trial challenges as they arise. 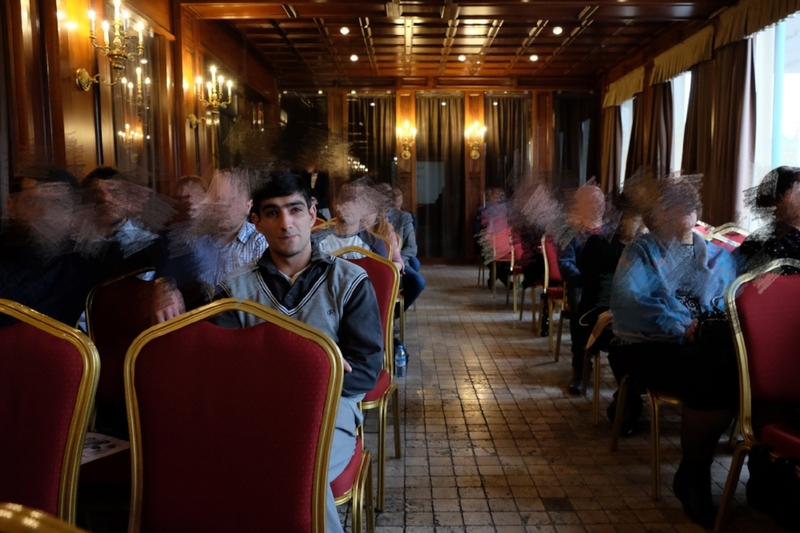 Lorik Gharibashvili (in gray vest in photo above), a member of the CAB and a former MDR-TB patient who participated in the workshop and seminar, expressed excitement and hope that the STREAM trial could shorten the difficult two-year regimen that he had endured. Since the initial visit in late 2016, the Georgia CAB began their activities in early 2017 at a meeting to discuss the STREAM trial patient consent form. Similar community engagement activities are planned at all STREAM sites.